[ 코리아매직 ] 의 상품을 편리하게 싸이월드의 미니홈피, 클럽, 블로그로 스크랩 할 수 있습니다. 관객이 마음대로 고른 카드에 싸인을 합니다. 그리고 마술사는 싸인한 카드를 덱의 중간에 넣습니다. 싸인한 관객의 카드는 벌써 카드케이스 안으로 들어가 버렸군요!! 관객은 그저 카드케이스안에서 나온 자신의 카드를 직접 눈으로 보면서 경험하게 됩니다. 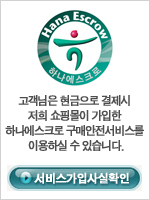 카드케이스 싸인한카드 모두 관객이 점검할 수 있습니다. 아주 놀라운 트릭이지만 난이도가 그렇게 어렵지도 않습니다. *바이시클 카드(레드)는 옵션에서 별도로 구입하십시오. First, you take the deck of cards out of the card box and hand the deck to the spectator to shuffle. Next, you invite a spectator to pick any card and sign it. The signed card is then lost into the deck, After that, you put the card box on top of the deck and with a magical shake, the signed card has jumped into the box. Finally, you pick up the box with your empty hands, open the card case and show that the signed card has appeared inside the box! The signed card is then taken out of the box!! Spectator sees the card inside the box before the signed card is removed!!! Finally, spectator can examine the card box, signed card and the deck. You are provided with an in-depth instructional DVD and a Gimmick. Everything you need to start performing with Devil Box is included in the kit.